While some folks in other countries are clutching a TV remote, following every detail on a coming snow storm, we here in Barcelona start seeing some flower buds on trees. The morning air definitely smells like Spring! However, flu bugs also exponentially multiply during the season changing. In this city almost everybody is getting sick. I don't want to receive Kleenex on Valentine's Day, so I am taking more natural food that enrichs in vitamin C.
First to make rose syrup, boil water with dried rose and rock sugar for a few minutes. Let cool. 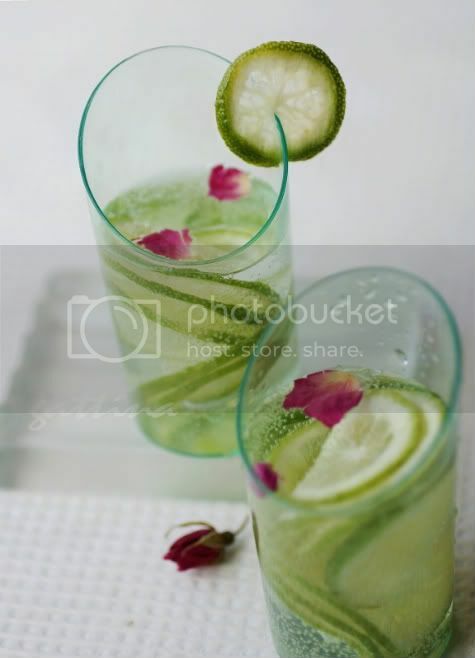 Stir to combine lime juice, rose syrup and club soda. 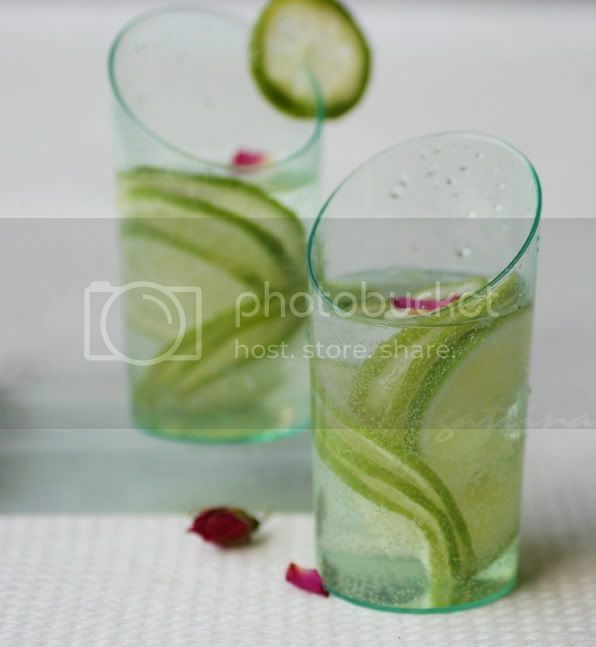 Garnish with lime and rose. That's one of the most unique cups I have ever seen. That drink sure looks appealing. Stay healthy! My dad likes drinking citron tea to stay healthy. I love the sound and look of this drink. Oooh Gattina!! What a refreshing drink!! MMMMM,... I recently moved my blog to wordpress.com/ Come over @ my blog & check it out! You must update your RSS too!